Got a boat that’s bothersome? Do you find your trailer troublesome? Can you just not be arsed to pick up your own boat? Then why not call….THE BOATFIXER!!!! At reasonable rates and with the ability to make your life seem much more perfect, then who you gonna call – THE BOATFIXER!!! This is the boatfixer winning many prizes at this years prize giving – he’s a lush sailor as well as doing beautiful boat fixing. • Checked the weather forecast from my desk – this involved both checking a website and looking out of the window, so a lot of time went into this. • Work out how to fix the tyre on the road trailer that has got broken over the winter so that I can collect my boat from the lake. • Check over and re-rig my boat with kite etc. • Worked out how to get to the sailing club involved. So I am obviously SOOOO prepared! So this weekend was packed at the sailing club – we had visiting T15 windsurfers, cruising, racing, BBQing and the clubs Little Americas Cup on Monday. It was probably the busiest weekend the club has seen for a while – despite appalling weather – veering from no wind and sunshine, to torrential rain with anything from no wind to really strong gusts coming in. Now the Little Americas Cup is one of my favourite events – in homage to the original yacht racing in which our Olympic Gold Medal winner Ben Ainslie is competing at the moment. Sorry – promised I would drop the Olympics didn’t I.
It’s a one day series ran in those infamous Toppers…… yep we’re back to those again… and the whole club match races against each other in these tiny craft, all on the same course in back to back races ran really close to shore for maximum jeering. It can be a long day as you need to race everyone in your group and then there are semi’s between your group and the other groups and then up to a finals. Having not done enough sailing this year I really felt this would be a great idea – especially in the sheeting rain with promises of big winds and gusts of up to 38 knots. What I actually thought was ‘what the hell, I’m always knocked out early doors and at least I’ll have shown willing and with any luck I’ll be able to justify some cake if I’ve been sailing’. 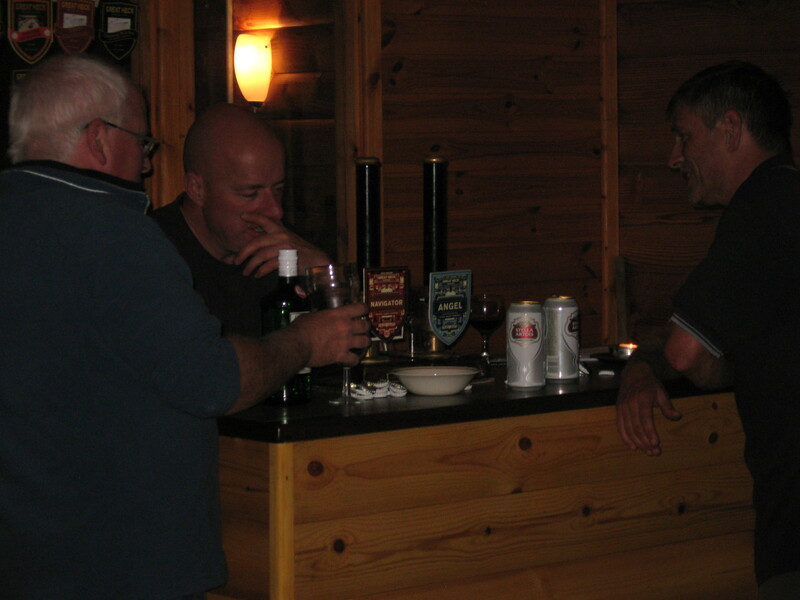 So after an evening of preparing in the bar we were all ready to go. Following my recent posts about Ood’ing it’s also a really complicated one to run. This year our Rear Commodore was back in the chair having ran this for a number of years. And he did something I have never seen before. Set up a course with a running start. Actually the wind and rain were a bit more wonky than that, but you get the gist! 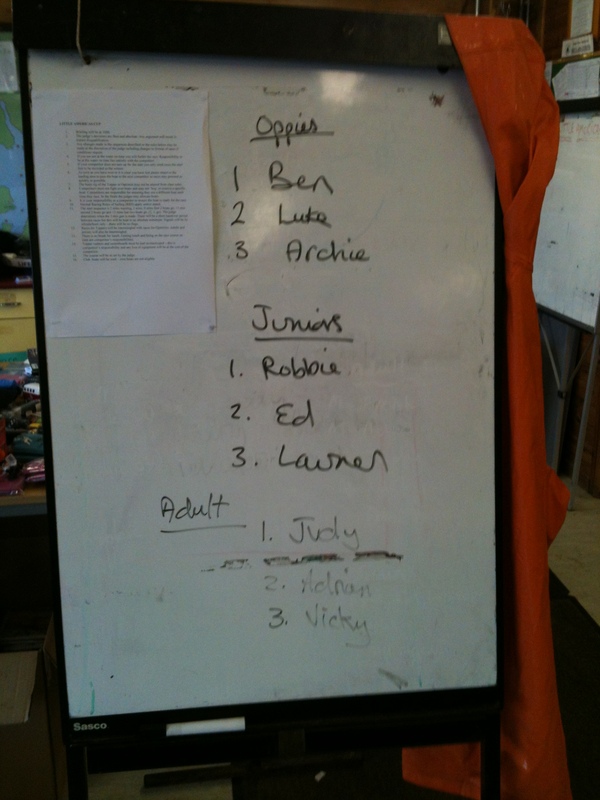 So the clubs six Toppers were rigged and tied to the jetty and the racing began. Each race is between two people from a group – and three of these races take place on each start. So you get a hoot to start the countdown – which is two minutes and at the end of this two minutes the first pair set off, followed a minute later by the next pair, and the third pair go a minute after that! Added to which to keep it fair you must change boat every race – so that there is no tactical advantage from one of the very high quality boats being set up better than another (i.e. having all its bits in working order). The boat to avoid has usually been Jester – with a slow leak, but after some remedial work prior to last years race he went from zero to hero becoming the most favoured boat due to his racing orange colouring. It’s not confusing at all. On top of this watching the adults trying to climb onto these ridiculously light boats from the jetty is a sport all of its own… I wasn’t the only one who had my only capsize while trying to swap boats between races. But the unusual course and start were not the only oddity. This year we had the tightest racing the club has seen in at least my time. People were doing tactical maneuvers, ‘covering’ people on the upwind leg, positioning themselves for mark overlaps, stealing wind on the downwind and generally doing things you would not expect to see. And as its so far into shore and ran from the jetty – there are always lots of spectators waiting for their next race – cheering – and it turns out… taking notes. So what started as a few people who had worked out some tactics, became a few more people who had also got tactics, followed by lots of people who had tactics and the tightest racing we have seen for ages. Both the semi finals and finals all went to sail-off’s the results were so close. I actually came third in a proper race event. Well ok – he’s not really a milkman. He does however hold more trophies than anyone else in the club having swept the board (again!) in last year’s racing and this is the song we like to sing about his successes. So last Sunday I found myself heading out to ood with Ernie and Tess (all the photos on this post are courtesy of Tess as I forgot my camera). The plan was that we were going to be indoctrinated into the dark art of the ood. I’ve done it before. Several times. It’s not been pretty – and I was hoping that having many hands and an expert to share the secrets would be a help. It was. In the first instance even just having someone who knew what they were doing having the same problems as you are is helpful – and it turns out some of it really wasn’t me! The first difficulty is the setup. So you need a committee boat and everything that goes with the racing. We have a pretty nifty flag stand so it only took us the half hour to find the additional shortened course and individual recall flags. This is despite the fact the same flags are used in the same boat every week. I am sure we have flag pixies. So then you need to find the idiot ood sheet to identify which is which. But of course this is stuck down the back of the computer in the race office for some reason, and there is only one copy of it, so until it’s found just before launch you are guessing. Its definitely one of these…..
Then you have to test the horn. And the radio. And the handheld radio for when the radio in the boat doesn’t work (usually when you have spilt your tea on it). And then get all your extra kit (pencil, spare pencil, watches, binoculars, dry bag which is already wet inside, whistle and of course not forgetting your horn pressing finger). There are other things as well but we forgot most of them, so well stick to the basics that we actually remembered. You then need to make sure you are properly dressed – and have a buoyancy aid on. Just because you are ooding doesn’t mean you won’t end up in the water when waving overenthusiastically at a patrol boat when the two radios you tested pack up. So having done all this – we finally got on the water. And now, at no charge I am going to share the secrets of the ood as imparted by the milkman. 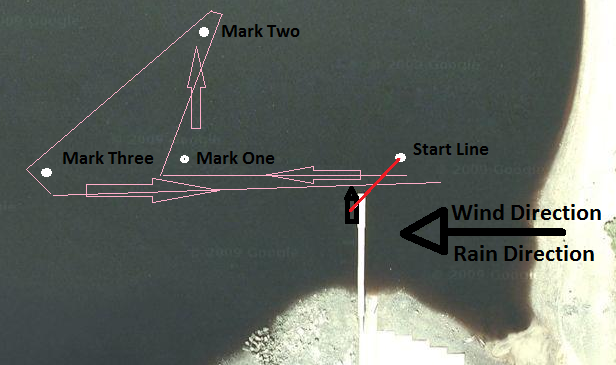 You can then work out where the wind is coming from and get your patrol boat to lay the windward mark. Do this by holding up a flag and seeing how it streams. Note – make sure you aren’t using the racing abandoned flag to do this. Then attempt the impossible task of using a little gadget to work out where start line goes. No, I don’t know what it’s called, it does degrees and stuff! Having done this, start the impossible task of getting the pin dropped by the patrol boat. Remember that instructions like ‘left a bit, right a bit’ aren’t going to help as they aren’t on the same boat as you. This is also a good time to remind yourself that in good radio protocol you don’t say ‘Over and Out’. Or ‘10-4 good buddy’. Having decided your course then hold it up on the board and try to make sure that you don’t fall in while attempting to show it to boats as they sail past. 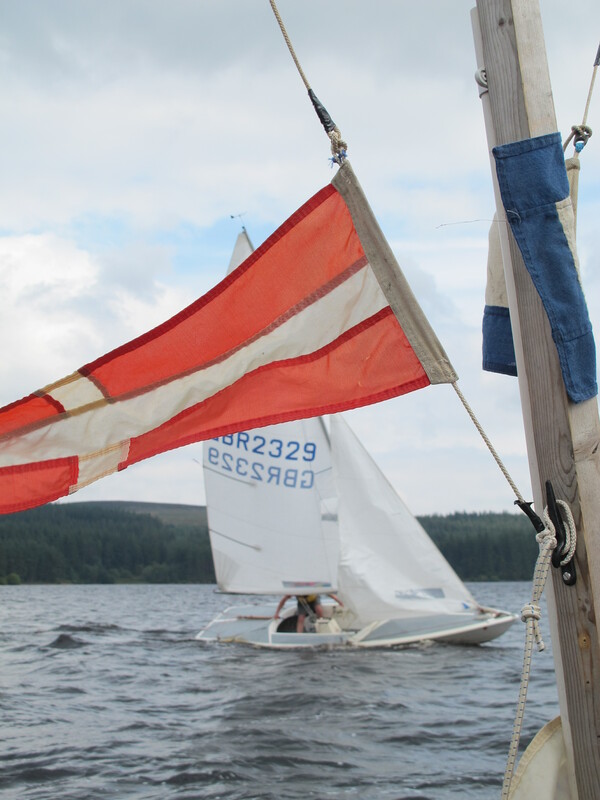 Hot tip – while doing this with boats sailing around the committee boat competitors will often shout you a question – if you don’t hear what someone shouts at you from their boat, don’t say yes in a vaguely distracted way. You have almost certainly put your foot in it. Now the next hot tip is about time. We run on a three minute start. But it’s all about the four minutes. Set the watches for four and all start them together – it reduces the things you do in the actual start sequence and also means you can check that all if the watches are running at the same time in case you accidentally stop one while waving at the patrol boat and have to rely on one of the ‘backup’ watches for times. This has never happened to me. Honest. You can then count down from four minutes to the actual start of the three minute sequence. 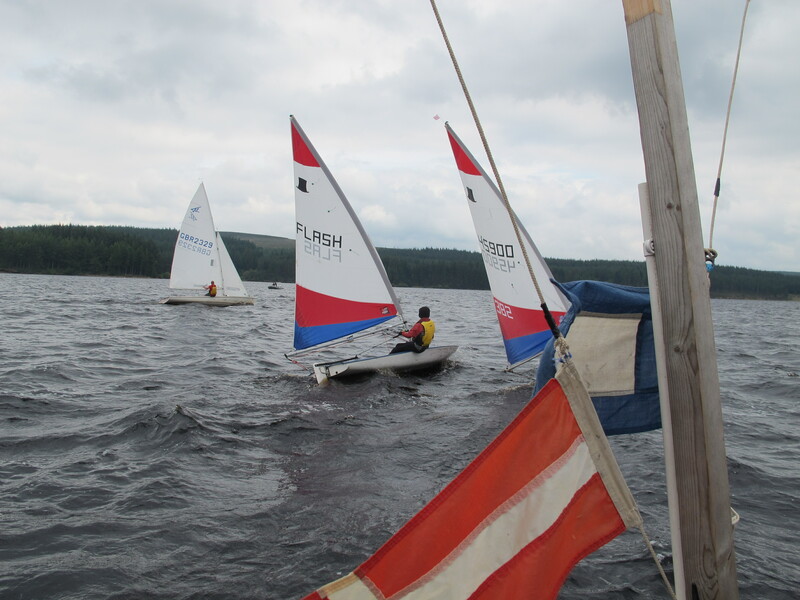 Wise competitors can sail close to the committee boat to try and get a fast track into how the sequence is going as you count down to others in the boat with you. If you find this is the case a good round of replacing the number with the word ‘rhubarb’ always throws them off the scent. Remember this will also confuse the heck out of the others in the boat with you as well. This next piece of advice is where I have fallen down. Don’t ood alone. I have normally ooded alone. Let’s be honest – I only ever do it out of lack of anyone else to do it. And it turns out this is the root of all evil. At the start of the three minutes you have to switch off the radio, blow the horn and pull up random flag as detailed on the idiot ood sheet. At one point in time I would also be trying to start my watch as well. Turns out what you also need here is a minion helper to do one of these (get them to do the flags it’s scarier) while you count down and blow the horn. Continue to do this all the way through the three minute sequence while trying to not let idiot ood sheet blow away. Both watch the line for infringement and be ready to put up the recall flag if required. Make sure you aren’t standing on it. So as long as you get a clean start then its all good and having successfully navigated the start sequence give yourself giant pat on the back. Congratulate all others on the boat and sit back and watch the fun. Remember to switch the radio back on ad check in with the patrol team. It makes them feel loved. You do get a great view of the racing and tactics while on the committee boat. 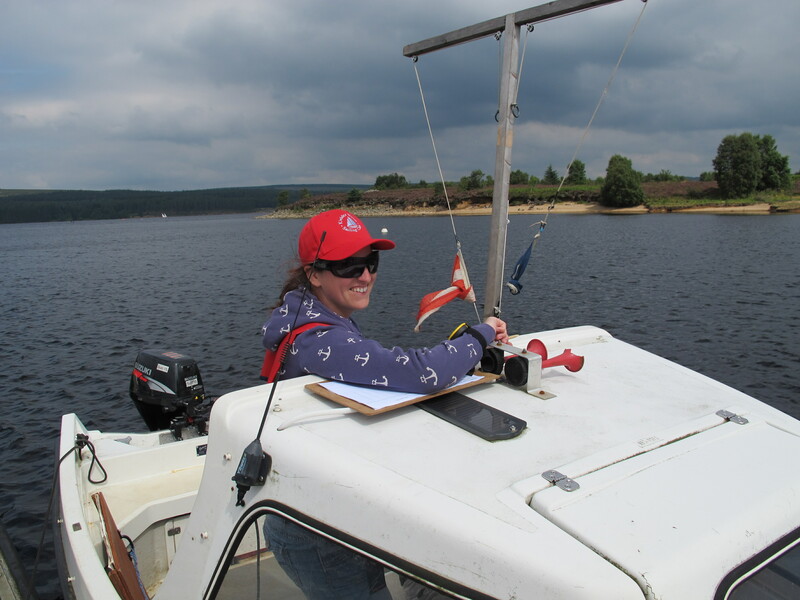 So as long as it’s not cold wet and windy (hysterical laughter about the one day of sailing at Kielder that hasn’t involved at least two out of the three) then this can be the fun bit. That’s the Boatfixer with his Dennis the Menace kite up! But all too quickly the fast boats will be upon you – so make sure you have your pencil and paper at the ready. There is no point using a pen. The ink WILL run in the rain. (of course it’s raining. 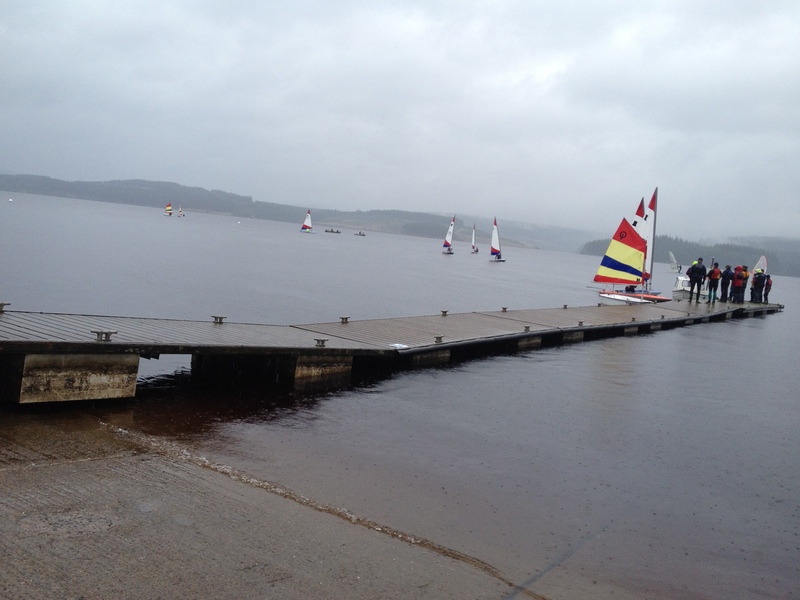 Its Kielder remember?) Take times for each boat on each lap. That way if something goes wrong and the race is stopped for any reason or you forget to finish the race then you can still get some results. Don’t wave at people as they go past – it looks unprofessional. If there are two of you a good way to do times is for one to watch the line and read out tines, the other to note them. If possible have two pieces of paper on clipboards to put your with times on – this is helpful for when one of them blows away. Taking lap times is also a good way to get a measure of the time it is taking boats to get round – this will also give a measure of how many more laps you can sensibly run in the time remaining – if it’s taking 25 mins for one lap and its only due to run for 30 minutes then you need to think about shortening the course. Who knew? And you need to do this before the first boat has finished the lap you want to end on as you have to find the flag, press the horn and run it up the flagpole before they cross the line. Realising it would be a good idea to shorten the course once a couple of boats are already over the line can mean that anyone you shorten on now will have to sit around and wait while the boats you released do the extra lap. No one minds this – much. Especially when it’s raining and there isn’t much wind so they are stuck sitting in the middle of the lake for 25 mins watching you watching the boats you let through before you made up your mind and cursing silently under your breath. So whether you finish as you had planned, or you shorten the course early, the only difference with your last lap is that once they cross the line you blow your horn at them so they know they have finished. Do not put up the shortened course flag and then get side-tracked into a conversation. Boats WILL cross the line and you won’t have a time for them. And that is apparently all there is too it. 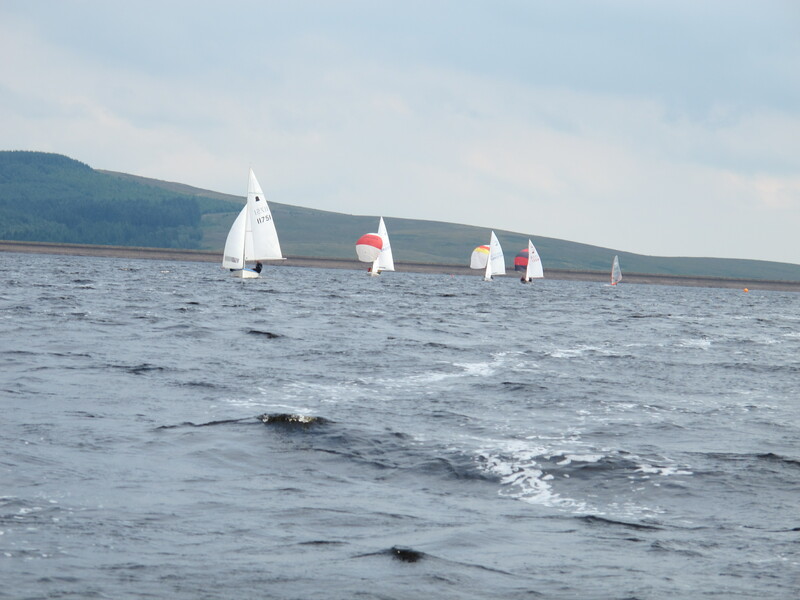 Check the wind and your start line… and go again! So what was the result of all of this? I got a finish for every competitor in every race. I didn’t run a general recall. I didn’t abandon a start sequence. I didn’t; have to ask anyone if they had won. I also didn’t go home feeling like I needed to lie down in a darkened room for a few hours. I’m calling it a win. Display your course info clearly. Get on with it – people are there to race, not watch you spend hours minutely adjusting a start line. Have a friend to help with the flags and take times. Start your sequence a minute early to give you time to prepare. Concentrate – ALL THE TIME – the race might have just started but you still need to keep an eye out to make sure you aren’t surprised by any fast boats getting round a small course while you are still pouring the tea. Get races finished and started quickly.